Mopar Performance Muscle Car O.E. For restoration or repair, Mopar offers this factory reissue of the voltage regulator used on early '70s muscle cars. 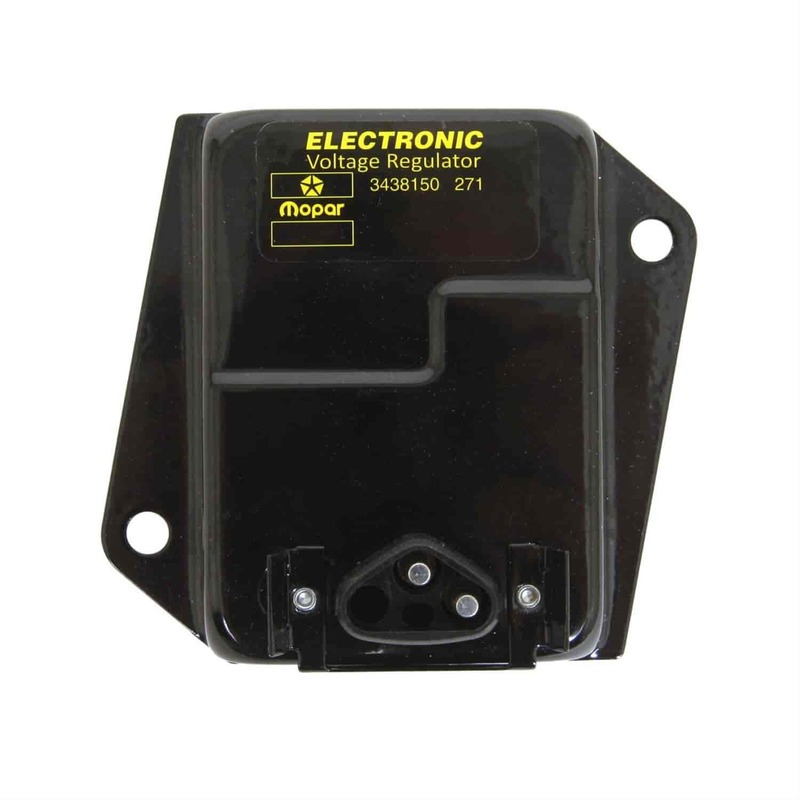 Black regulator features original-type case with Mopar part number imprinted in yellow and modern electronics on the inside. Does Mopar Performance P4529794 fit your vehicle? P4529794 is rated 4.5 out of 5 by 2. Rated 4 out of 5 by jdaddy from Works I bought this under the impression that the words were screened on the face of the unit, not a sticker. Could have gone down the street and purchased one with a sticker. Description should state this. Other that that annoyance, it works fine. Would have preferred it sans the sticker, but like stated it works. If you want screened you have to find NOS. Is this regulator compatible to a 1971 Dodge Demon 340? Do you have or do you know,if you can get the o.e.m on this item? Yes, This can be used on a 1971 Demon with 340cid, we do not have the O.E.M. replacement.